The goals laid out in the Yale Sustainability Plan 2025 are broad and expansive. They call for improving infrastructure across campus, changing behaviors, and connecting research and teaching with real-world challenges. As we strive to improve operations we identify learning opportunities that engage departments and individuals across campus. These efforts promote the social, environmental and financial well-being of the institution, making Yale a safer, healthier, more enjoyable place to live, study and work. Yale’s sustainability goals are organized into nine ambition areas. Explore these ambitions to learn about Yale’s efforts on campus, progress toward our goals, and ways you can help. 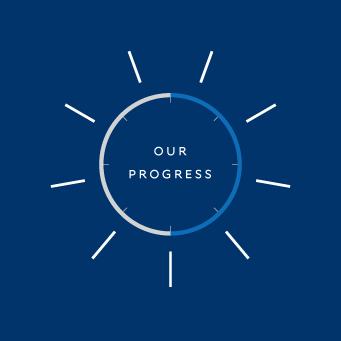 Every year we evaluate progress toward our sustainability goals. Some initiatives progress quickly, while others require ongoing effort or a different approach. Learn about our efforts by exploring the nine ambitions below. Design, build and maintain resilient and sustainable buildings.